Frontline communities are not only disproportionately affected by climate change, they are often less likely to have the financial ability to prepare for, and recover from, impacts. Additionally, the voices of low-income communities and communities of color are typically underrepresented in adaptation and resilience planning at the state and local level. Decreasing inequities can improve public health and safety, and increase economic opportunities for frontline communities. 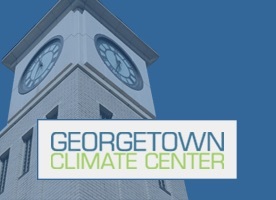 The Georgetown Climate Center’s Adaptation Clearinghouse has created an Adaptation Equity Portal to help cities and states take equity into account and ensure low-income communities can benefit from climate adaptation policies. Developed based on workshops supported by the Kresge Foundation that brought together community-based organizations led by people of color, the Adaptation Equity Portal includes resources for decision makers and practitioners that identify ways to integrate social and environmental justice into adaptation efforts. The portal aims to advance equitable adaptation practices by providing case studies and models of effective engagement methods.